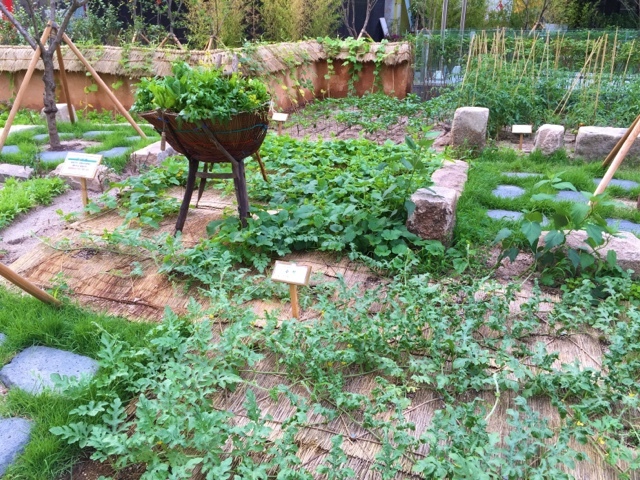 I wanted to jump up and down seeing this garden full of edibles! But then I thought how perfect they looked and how much pesticides must have taken to get them so aesthetically pleasing. 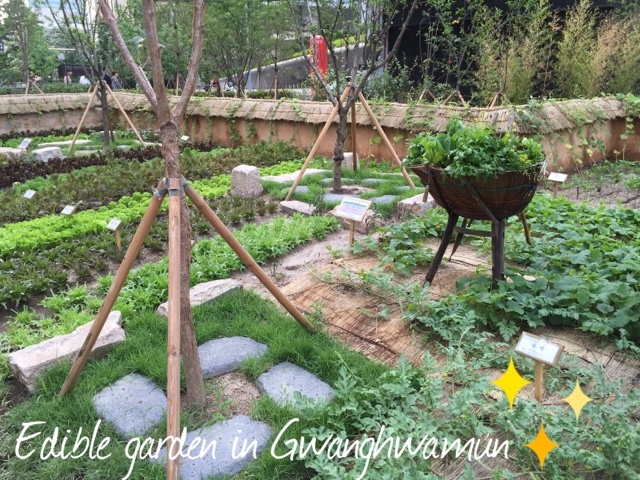 This dainty garden is located right at the new exit in Gwanghwamun station. It's the sparkly new exit (I don't know what number, there's so many!) - you will recognize it because it looks spanking new - new hallwalls, walls, lights. It's the exit right between the US embassy exit and Gyobo bookstore exit. Conveniently, this new exit gets you right off D TOWER (the restaurant mall). 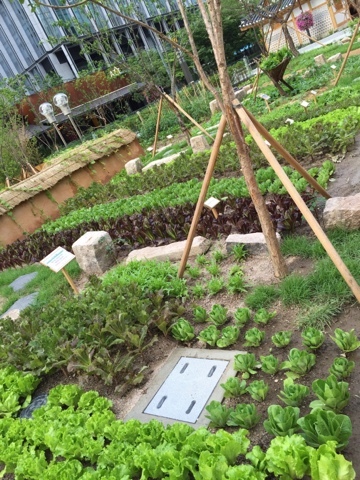 It's such a nice change to see a garden in the middle of the city and an edible one at that. I'm glad they decided to make a garden with this space instead of a cosmetic store (there are too many cosmetic stores here everywhere and inappropriately). 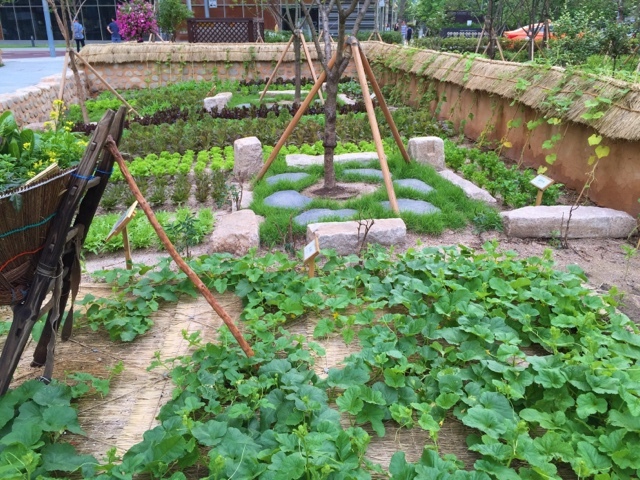 It's so nice to also see some traditional Korean culture with the design of this garden. It was nice to be able to name most of the vegetation - I am an aspiring city farmer with my balcony of kale pots at home. D tower is visibly right across this garden. 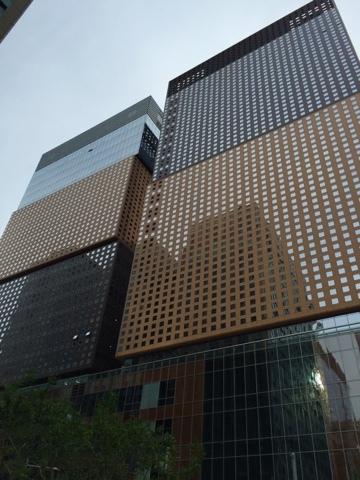 The building looks like blocks sitting on top of each other. I hope to see more green in the city. What a nice change of pace. You can get closer to the garden and take a closer look. Be warned that you can't take bags of lettuce home. A visible warning sign claims its property (the city). 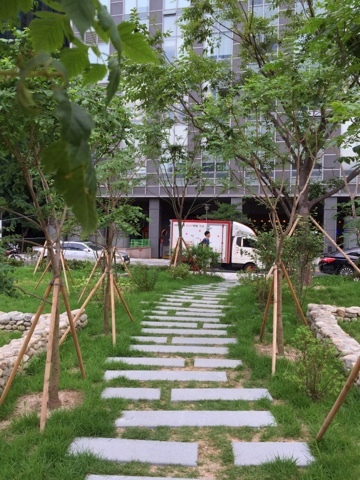 A few steps down, there is a Han-ok information center. Indeed, so nice to see traditional touch to this new exit space. So nice to see some culture in the city. 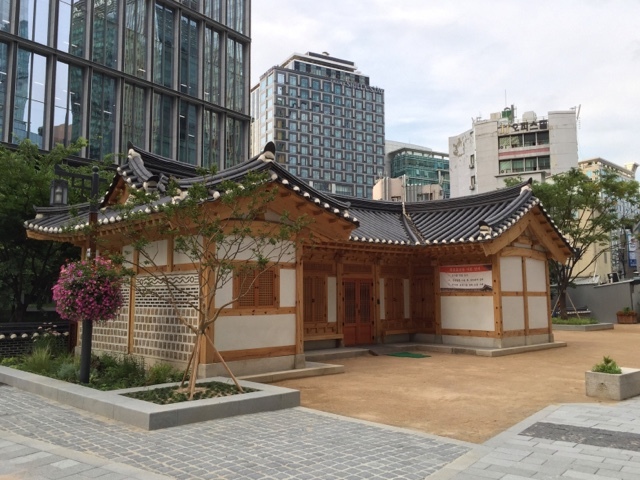 Those new to Korea might find it surprising that the city doesn't have much "Korea" - mainly to see square blocks of buildings and never ending coffee shops to give the impression that Koreans are caffeine addicts - although they are one but deny it. Don't judge them - they need it. This exit is a nice place to take her some photo opts in case you miss going to Kyungbook palace or the country side. There's also a nice pathway or two along the area. You can take solace in the effort that they wanted to provide some oasis away from the bustle and hustle down the road. That itself is comforting. 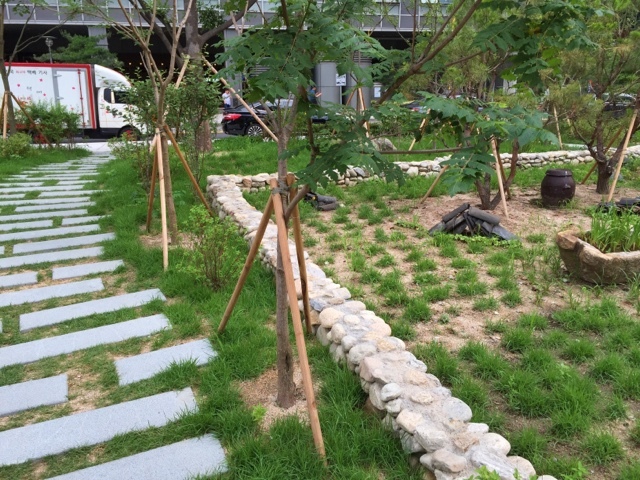 In time I have hope that Korea will be green and plants more trees. They need to take some action because it might some a few thousand million lungs because Korea is such a beauty when the smog clears up to unravel a sky vast and bluer than the Han river.